I think I used up my periodic word quota. Sorry. No exciting paladin stuff for a bit. I do plan on updating the Holy Pally 4eva series while I’m in the city next week, though. That’s right, I need to drive 3 whole hours, all the way to civilization JUST so I can drink delicious coffee in a trendy coffee shop while polishing up my blog. But, even when my brain is fried and I’m out of words, I still like to write things, so here we are. I’m writing things. 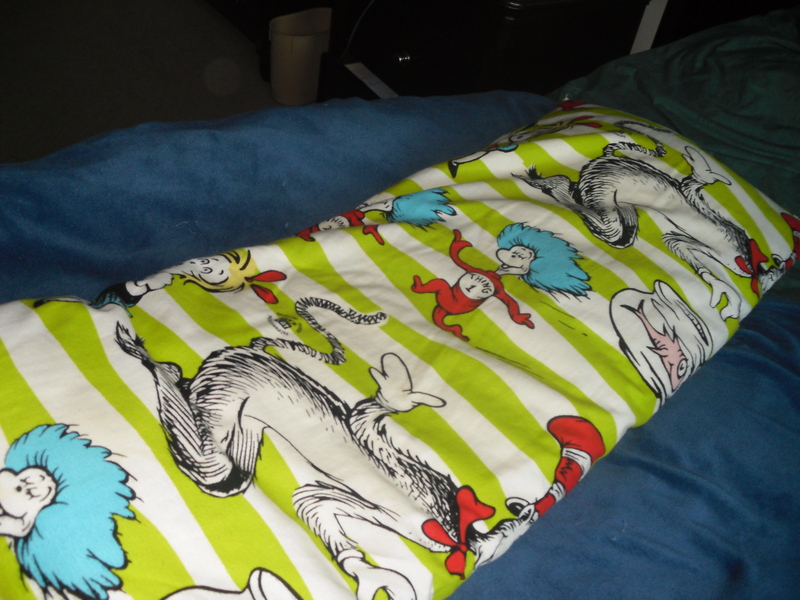 My own mood-lightening body pillow, just for Vik! First off, I wanted to apologize to the people who commented on my last post – I normally answer most comments, but I didn’t get a chance for those. I still read them all and appreciated them, big thanks to you kind people as well as to those of you who left me feedback in other ways. Those who asked for more World of Logs posts, you will be served. I have a few in mind. In the meanwhile, if you check out the right side of my blog, you’ll see a lot of orange links. Scroll down enough and you’ll find some of my past World of Logs posts. The featured fights are outdated, but WoL really doesn’t change that much so there’s still useful info there. You can also check out Jasyla’s guide to evaluating Holy Pallies with World of Logs (I don’t know how she does it, but she always manages to achieve levels of clarity and conciseness I only dream of). And if you’re really enjoying log parsing, Jasyla has guides to evaluating most other healing classes too. Public Service Announcement: Looking for a friendly 25s guild? Awhile back, I was complaining on Twitter about how hard it is to find 25m guilds as a healer. It’s like every one is bursting at the seams! Shortly after, I received a Tweet that Ambermist‘s 25s guild was looking for healers. They weren’t quite what I was looking for and by the time I got back to my computer, it was the next day and it would have been weird to answer. But! In case you are looking for a friendly, laid back (I think!) 25s guild, I suggest you check out Chi Cerca Trova. I don’t know if they’re still looking, but it never hurts to try! So things didn’t work out with Conquest. It was disappointing. I really, really wanted it to work, but in life, when you’re given a hard lesson, you better learn from it. Last time I was in Conquest I learned that there are situations I can’t control and that I should walk away before making an utter fool of myself. Conquest is good people. Their guildies have been in and out of my life for what? 3, 4 years now? They’ve always welcomed me to their raids, their meetups and their Mumble channels. 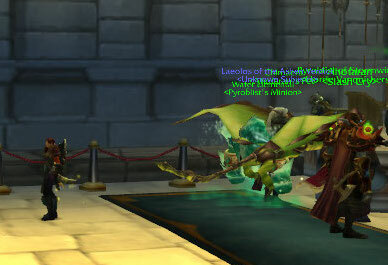 And no one, no one, makes me laugh like my Conquest guildies. I think that when it comes to raiding, though, their values don’t quite match mine. It’s not a question of right and wrong – seriously, for a guild to have existed for so long and have survived what they’ve survived, they’re clearly doing it right! But, sadly, for me it came down to the age old debate of friends vs raiding. This time around, the issue was way, like waaaay too many healers, and the lack of a decent benching system. While the “official” rule was “best raid comp/performances for each fight”, reality was more like “random raid comp/performances for each fight and one spot is always taken, whether necessary or not, by the healing lead.” No matter how well I did, I spent more time on the bench than in the raid (as did most of the other healers), which, for someone who spends all day looking forward to her raid, is pretty tragic. And, as a nice way to put it, the healing lead and I weren’t compatible. I complained a lot. I brainstormed solutions. I lost a lot of sleep. I gave the healing lead a hard time. I considered going ret. I considered going PvP. I kept my eyes open for heroic 25m Alliance guilds that raided on schedule compatible with my work. Then out of the blue, I received a pitch on Twitter from a guild who had just lost some healers to real life. A few hours later, I had interviewed with them and switched my work schedule around to meet their raid times. Their standards are considerably higher than anything I’m used to and I’m don’t know if I’ll pass my trial – which is why I’m being vague with details – but I’m sure ready to find out. I’m excited to see where this goes. If I fail my trial, I’m thinking I’ll learn to PvP. I love learning, and I’d have plenty to blog about. But, really, I’m praying that I won’t nosedive into, oh I dunno, a Wind Bomb on Wind Lord (which I have only done once in the many times I have done that fight! ), and that I’ll find a compatible guild to spend a good chunk (if not all) of the rest of my WoW playing time with. The rumours are true! Oestrus and I got together last night and recorded a shiny new episode of The Double O Podcast! 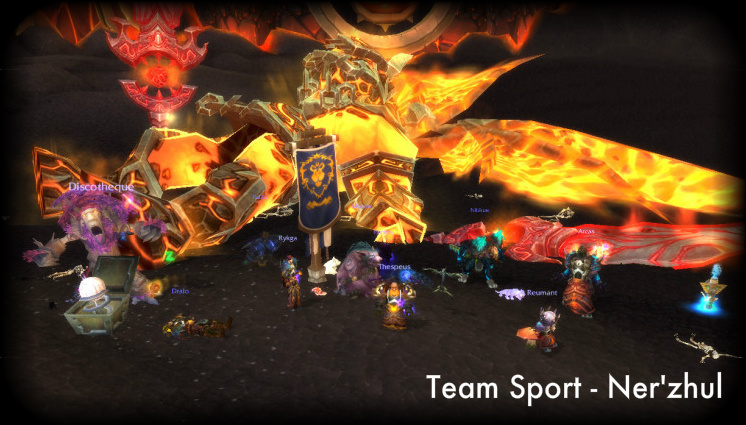 With Mists coming out in a few weeks and both of us anxious to be raid ready as soon as possible, we thought it would be fun to interview a Realm First – Level 80 feat of strength holder (and remember! While the grind to 85 was accomplished by many in under 15 hours, the grind to 80 took a solid 48 hours, if not more, making the achievement even more impressive). So! For a tad over an hour, we chat with the awesome Serrath (who, in addition to being quite knowledgeable about productive and healthy gaming marathons, is also a really fun guy. You can’t help but want to be friends with him.) about how to get to 90 as quickly as possible, without risking our health or our sanity. I promised a link and I didn’t deliver… I hang in my head in shame. Hopefully you’ve all (yes, including non-holy paladins… the awesomeness of the Light must be experience by EVERYONE) found your way to the show, maybe via Twitter, maybe via another blogger. But just in case, just in case you haven’t, before Mists comes out, treat yourself to the sweet delight that is The Holy Paladin Roundtable. Mists is almost here, have you found your guild yet? My guild, Occasional Excellence, still has a few spots open on our roster. We’re a high efficiency guild, raiding 2 nights (or 7 hours) a week, but making the most of every second. (And you know that if they manage to satisfy an impatient, detail oriented, perfectionist like me, they’ve got to be good people!) We do 25s, we’re all adults and we were killing Heroic Madness before it was cool. We’re especially looking for a resto shaman and a shadow priest, but we’d welcome most dps classes (except maybe hunters and ret pallies because everyone plays hunters and ret pallies these days). Our standards are pretty high, so the application process can be demanding, but, trust me, it’s worth the effort! We’ve got a solid team, a highly organized leadership and a very positive raid environment. And while we only raid 2 nights a week, there are a lot of optional events every week for those who just can’t get enough. Sound like a group you’d be interested in? Find out more on our website: http://occasional-excellence.com/. Some of you may remember a post from awhile back, about a guild named Paranoid. It’s been about a year, and I hear that Paranoid is still going strong, which makes me very happy. I was also very happy to receive an email Paranoid’s GM, Mer, who had fantastic news for those of us socially anxious (and fabulous!) WoW players who live on the US side of the big pond: someone had taken the initiative to start an equivalent guild, on a US server! then you’re probably a perfect fit. There are no specific requirements to join, aside from a completed application. I don’t play WoW much these days – with my real life, the rest of my gaming and my crazy work schedule, I barely manage my 7 hours of raiding a week, but I am really tempted to level an alt with them, if they’ll let me, if only for a little while. Best wishes to Cantafrond and the rest of the crew at Swords for Everyone! It’s a wonderful to have a haven like that in our community, where everyone understands what it’s like. And from the enthusiastic chatter in the WoW forums recruitment thread, it seems like SfE is off to a great start! If you’d like to join, you can post an application on the guild website or contact Cantafrond in game on Wyrmrest Accord. If you live in the EU and would like to join Paranoid, you can do so via their guild website. A couple of days ago, I was pointed to a post by Döra about social anxiety, and about her guild Paranoid. Can I tell how much I wish I’d found a guild like this when I first started playing WoW? Maybe it wouldn’t have taken me a year to reach max level. Maybe I would have gotten to experience end-game dungeons and Vanilla raiding. Heck, maybe it wouldn’t have taken me two years to get over my “never going to play with others” mentality! I know I have a couple of readers who’ve mentioned they’d like to be part of a guild that understood shyness. So if you play on the EU side of the pond and you’d give group play a try if it weren’t for those blasted butterflies/stomach knots/icky sweating, there’s a guild out there for you, where you can meet quite a few fellow players who totally get you. I also got the opportunity to exchange briefly with Döra/Thriftee and Mershelle (an officer and the GM of Paranoid, respectively) and both are lovely ladies whom I’m positive would make for fantastic guildies. To find them, look up Paranoid on Emerald Dream EU, or drop by their webpage. Being a blogger, I think of myself as a bit of an artist. Like maybe a part time artist. I attempt to turn elements of myself into something somewhat creative in order to share them. Whether or not I succeed is up to the reader to decide. But when a piece I’ve written contributes, however minimally, to something greater, the feeling is incredible. It’s at times like these that I feel like I’ve succeed as a part-time bit-of-an-artist. When I feel like I’ve had a part, though tiny, in making a difference. Anyway, props to Mershelle, Döra and the rest of the crew behind Paranoid! As you guys (and many of us too) know, WoW is a refuge to a lot of socially anxious or socially isolated (or both!) persons, but quite often we find ourselves just as cut off in the virtual world as we do in the real one. You guys have build a network, a support system, and maybe even a stepping stone for a lot of people. And, to me, that’s beautiful.